This simple pencil skirt project could be completed in about an hour and half if you use fabric scraps or under an hour if you use one piece of fabric. I suggest stretchy fabric if you’d like to avoid installing a zipper. 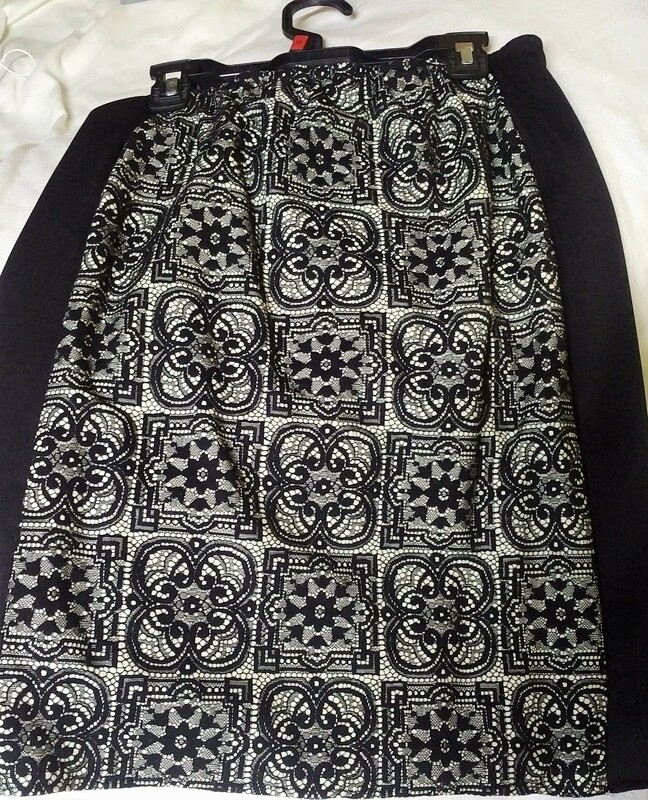 In this skirt I used some scraps of black scuba and two swatches of lace patterned fabric I’ve had for a while. Strategically placing the black scuba on the skirt’s sides visually subtracts 5 lb. Lace-like patterns always look elegant without revealing too match skin. Step 1. Drawing the pattern. Using stretchy fabric makes this pattern really simple, so you can just draw it right on the fabric. 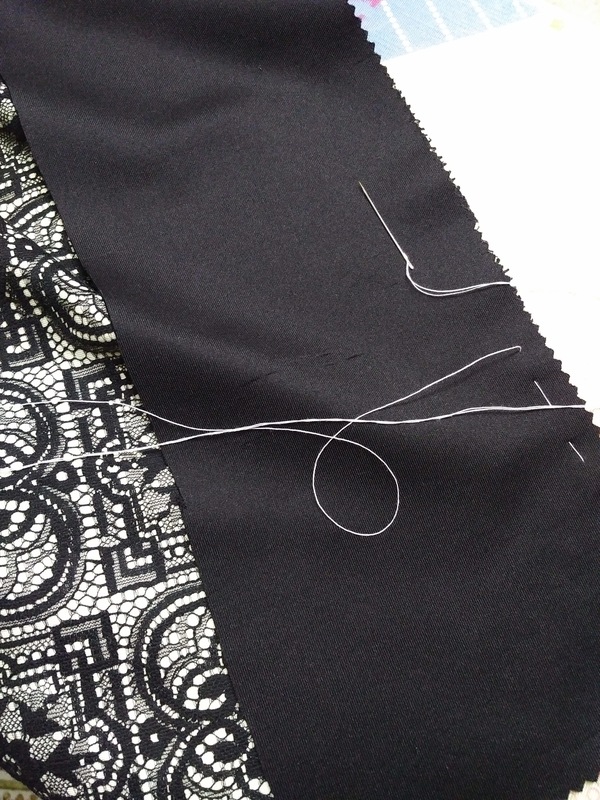 We’re subtracting 2 inches on each of the 4 parts of the pattern because we’re using black fabric on the sides. Step 2. Fold main fabric in half and draw the pattern. Cut front and back parts, adding seam allowances. 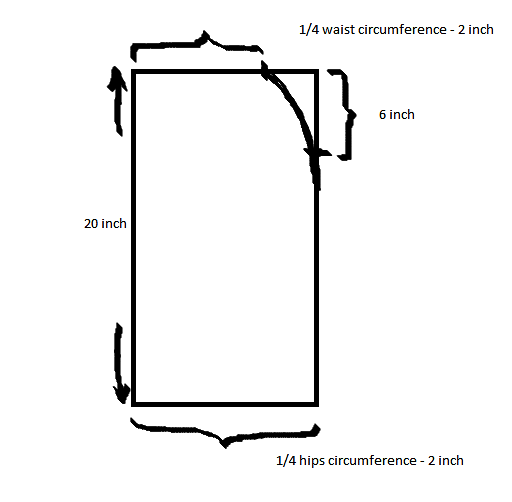 Cut black fabric in half, making two strips 21 inch long and 4 inch + seam allowance wide. Step 3. 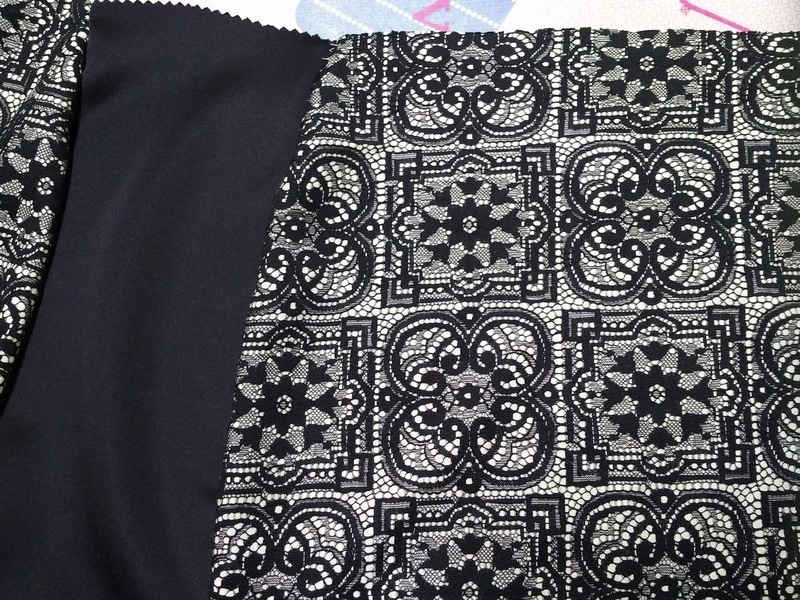 Sew black fabric to the front and back detail. I’m basting here first. This how it looks with both front and back panels of the skirt sewn to the the black side insert. Step 4. Sew sides seams, I used zigzag. Hem the bottom of the skirt. Step 5. Sew on elastic on the top of the skirt. Step 6. Press the seams. Enjoy your new wardrobe staple!